Zhang Peili ’30 x 30′ (1988). Single-channel video, sound, color. 32 min. 9 sec. As a special closing event, MAAP is honoured to present Zhang Peili’s '30 x 30' (1988), considered to be the first video artwork produced in China. 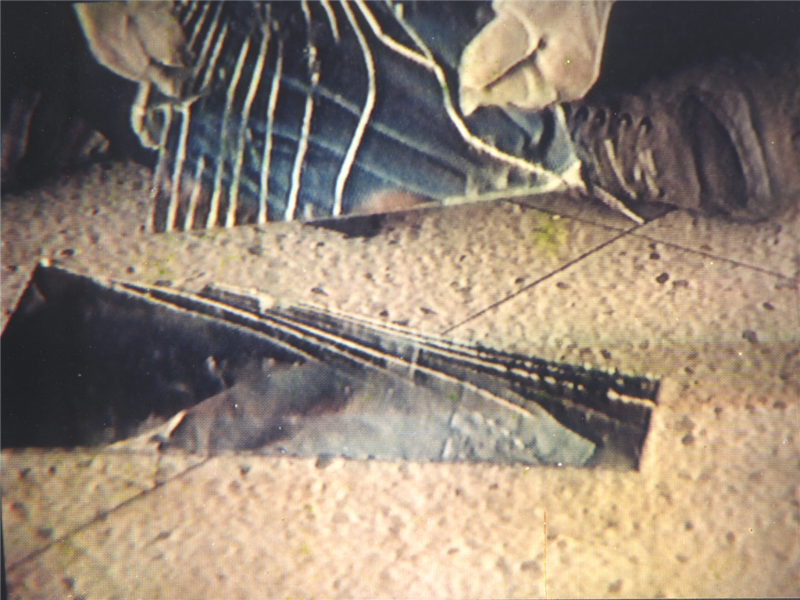 Filmed over 180 minutes (the length of the video tape), the artist is seen repeatedly smashing a mirror and meticulously reassembling the shards of glass using glue. Zhang’s video rejects the illusionary qualities of the medium, and has been read as a pertinent critique on the rise of popular television and mass entertainment in China. 24 years on, how does this work stand in the international context of contemporary art, as both an early marker of Chinese media art and a work extracted from that history? Join Dr. Courtney Pedersen, Lecturer in Art History/Theory Queensland University of Technology, and Kim Machan, MAAP Director, in considering the legacy of this first Chinese video work. Please join us for this special one-day only presentation of Zhang Peili’s 30 x 30. This is the first time the work has been screened in Australia. It’s also the last day to see the Zhang Peili exhibition at MAAP SPACE. Zhang Peili Final Day: MAAP SPACE open 11am-6pm.